In UHS-I compliant cameras, UHS-I Speed Class 3 (U3) cards are capable of recording video at a minimum constant write speed of 30MB/s. 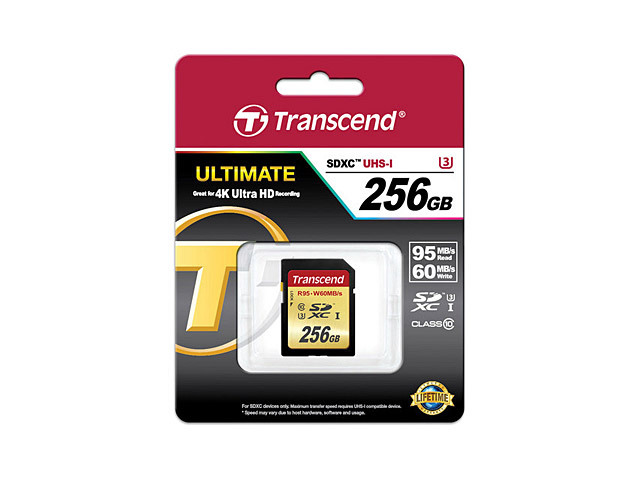 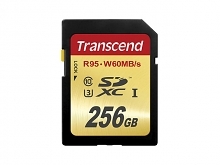 Yet, to support the demanding performance and storage space needed to capture smooth Full HD, 3D, and 4K videos, Transcend's SDXC UHS-I U3 cards offer maximum speeds of 95MB/s read and 60MB/s write, as well as extra large capacity of up to 256GB. 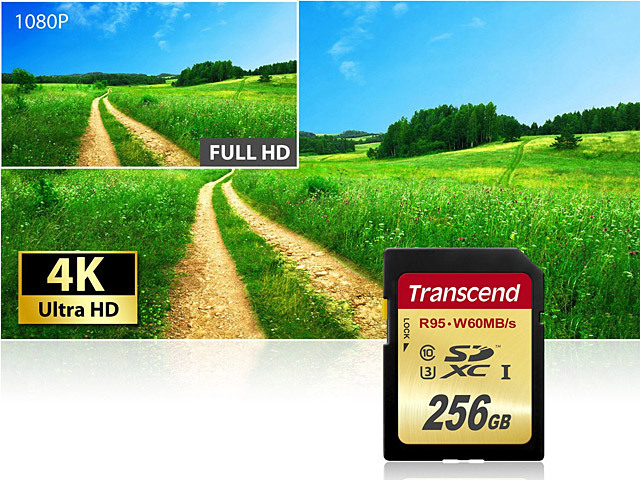 Additionally, the top-tier MLC NAND flash chips inside provide consistent long-life durability and endurance.